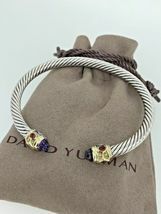 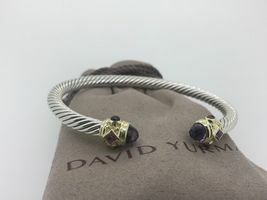 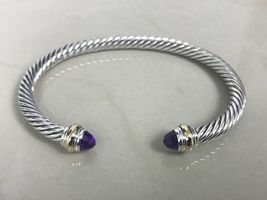 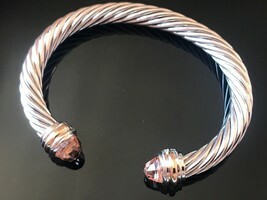 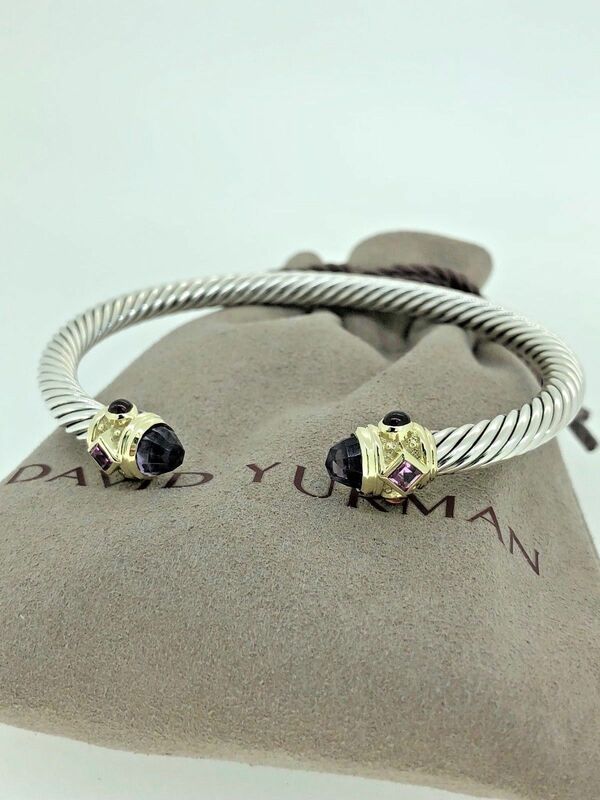 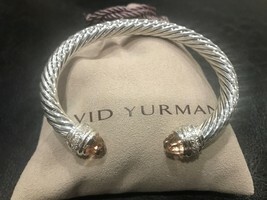 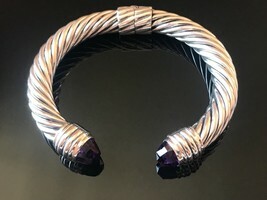 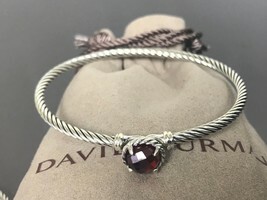 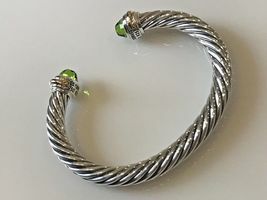 DAVID YURMAN Renaissance 5mm Cable Classic Bracelet 14k 100% authentic pre-owned condition Stone - Amethyst, Pink Tourmaline, Rhodolite Garnet Sterling Silver 925 585/14k gold Marked D.Y. 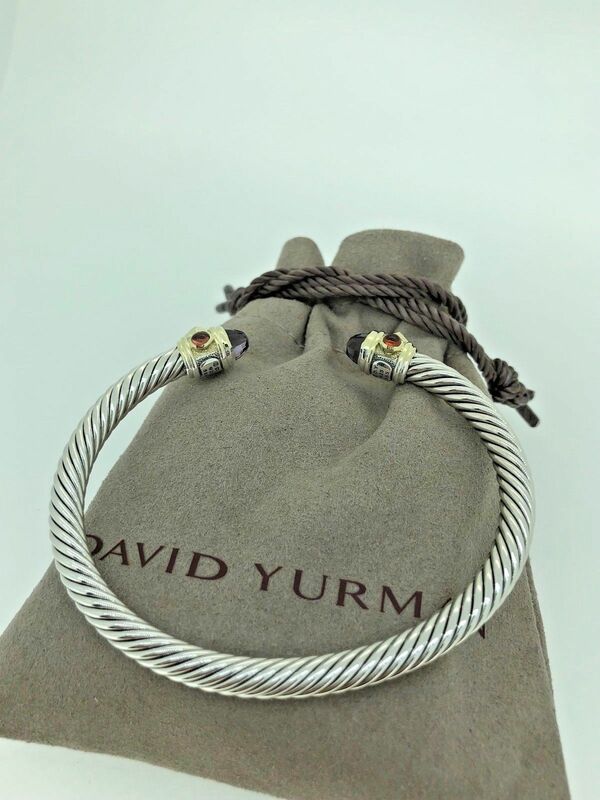 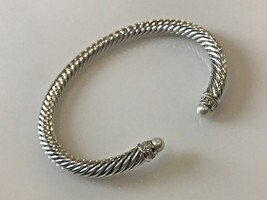 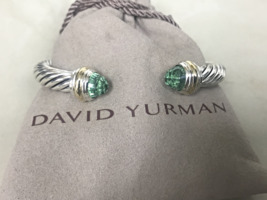 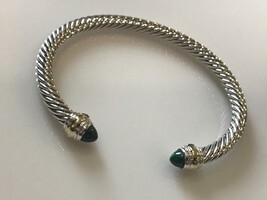 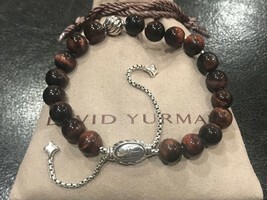 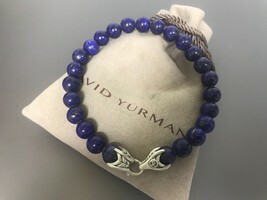 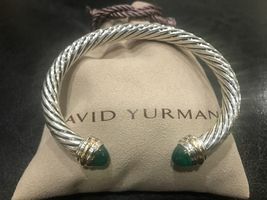 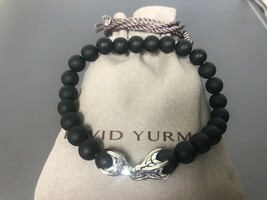 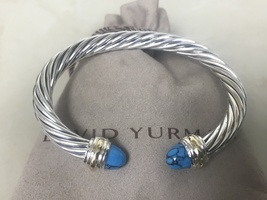 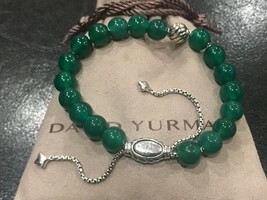 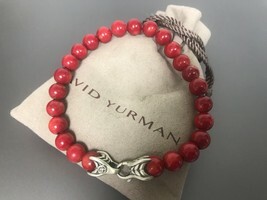 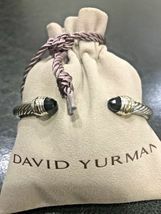 925 585 5mm wide Size: 6.25” (Meduim size) Comes with DY pouch and in a nice unbranded gift box About All items are 100% authentic, pre-owned David Yurman pieces, polished prior to sale and come with a DY pouch. 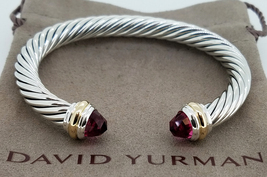 We source our items through jewelers who check, clean and fix the pieces if needed. 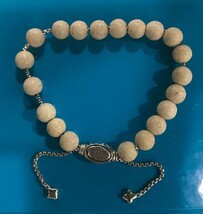 No original receipts. 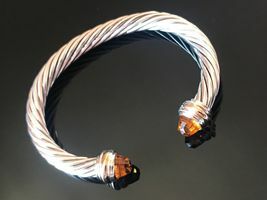 We choose our pieces very carefully and stand behind quality and authenticity. 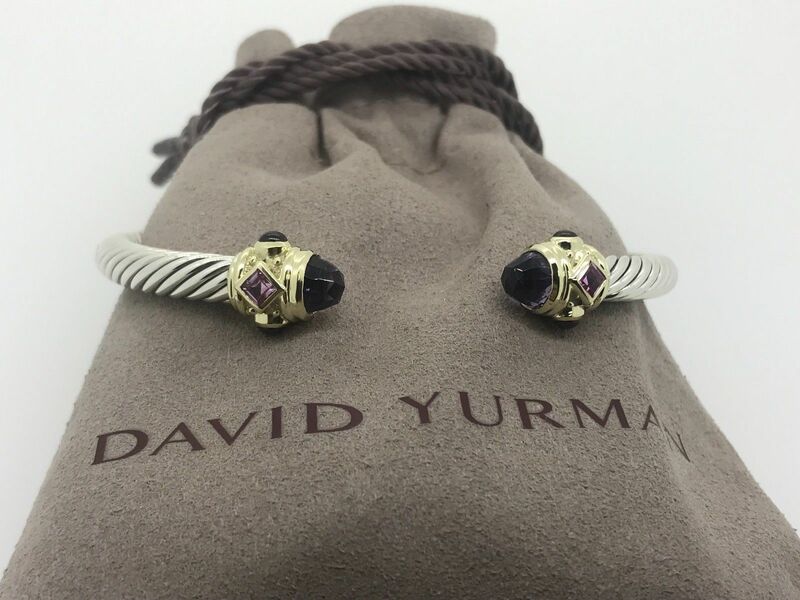 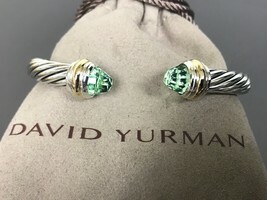 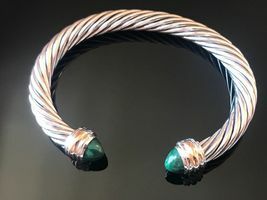 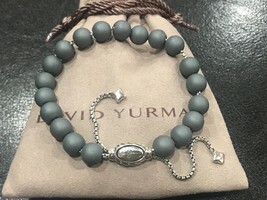 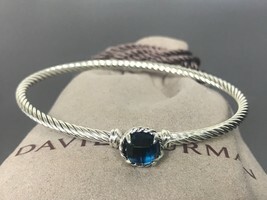 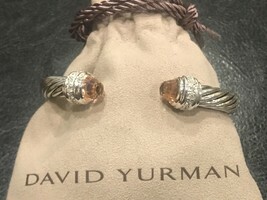 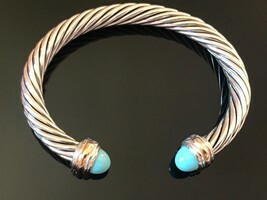 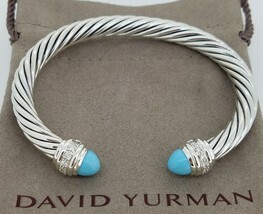 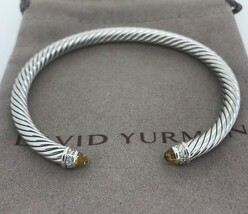 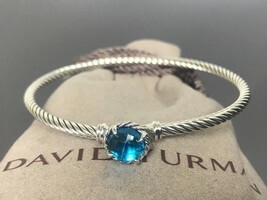 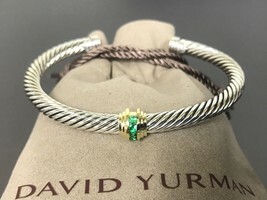 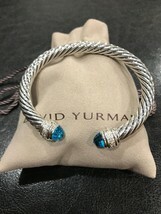 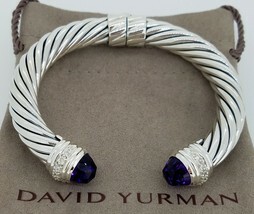 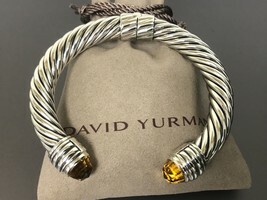 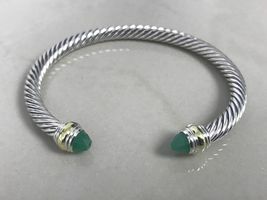 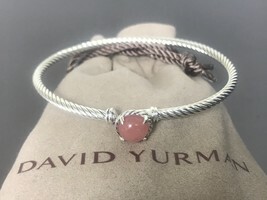 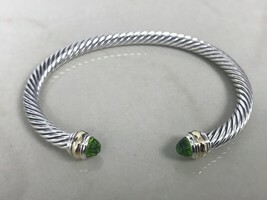 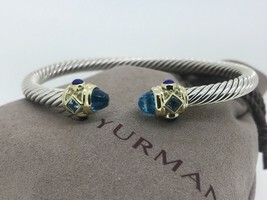 David Yurman is a company with almost thirty years history. 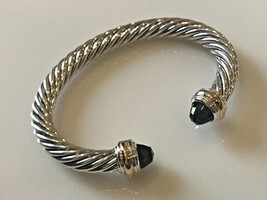 Their design changes through the years. Therefore, some items might vary in details due to the year they were made. 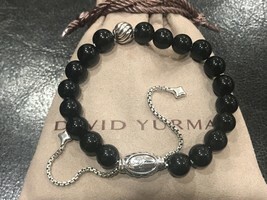 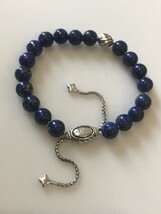 DY designs also might vary through different retail outlets they use to sell their pieces through, such as Neiman Marcus, Nordstrom, Sachs, or their own DY stores.Please note that due to all of these variations, DY pieces you have right now might not be the same with the pieces at the store, or with the pieces that were sold a few years ago. 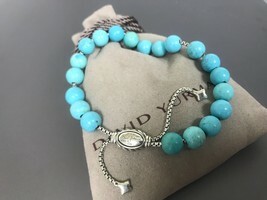 Please note that not every DY sales person is qualified to identify authenticity of older pieces, or pieces from different outlets. 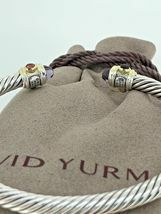 Here is the list of some variation that you might find: - Design could slightly vary, in different years. 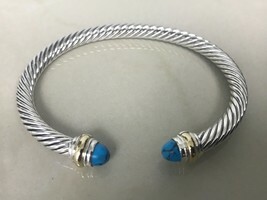 - Weight might vary as well. 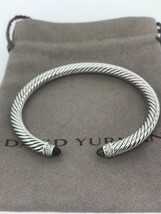 For example some recent DY bracelets have become lighter. 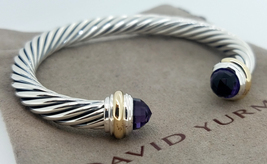 - Hallmarks, style and their place might vary from year to year. 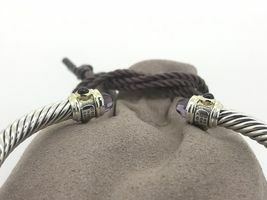 - Stones might vary in color, or shape, due to the year the piece was made, or retail outlet it was made for. 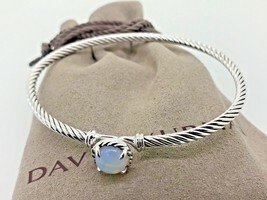 - Shade of gold or silver also changes by years, and stores they are made for. 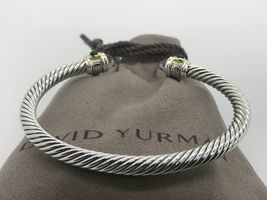 Payment and Shipping To process payment for transactions, please ensure that your shipping address and billing address are the same. If your shipping address does not match the billing address, please email us. Return Policy Our main priority is customer satisfaction! 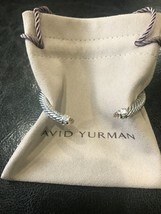 Because of that we offer 30 days a no questions asked return policy, on unworn and unaltered pieces with 100% refund without any restocking fees. 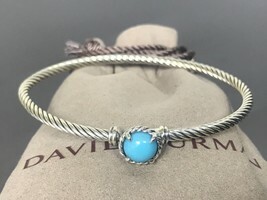 If for any reason you feel like you are not 100% satisfied with your purchase, please contact us before return so we can provide your return-shipping label, and arrange refund details. 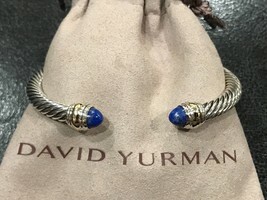 We are not affiliated with David Yurman, nor with any other jewelry brands.